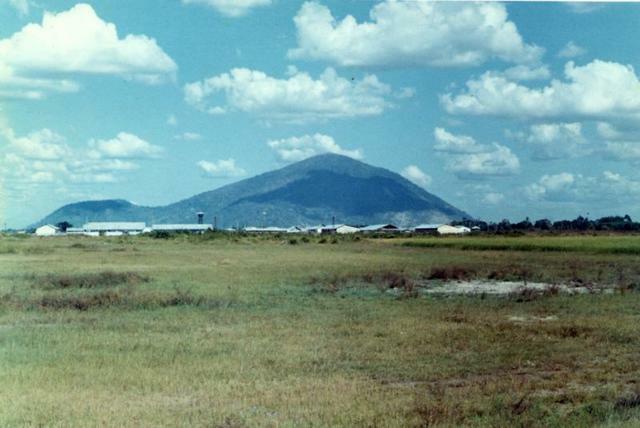 The “Black Virgin” mountain is a beautiful backdrop for Tay Ninh base camp, home of the 2nd Brigade of the 25th Infantry Division. Cu Chi was the command base camp and home of the 1st Brigade. It was much larger than Tay Ninh and Tay Ninh was larger than Dau Ting, home to the 3rd Brigade. New troops attended a 3 or 4 day orientation in Cu Chi, then were assigned to their operating unit.